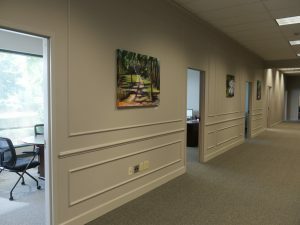 The newest opportunity for local artists is a solo exhibition at the Chamber of Commerce Gallery, coordinated by the Greater Augusta Arts Council. Art is screened by representatives of the Chamber of Commerce for suitability, and if you are chosen for showing at the Chamber, you will be notified by the Arts Council. Shows are typically scheduled for 2-3 month blocks.Please fill out the application below to be considered for the Chamber of Commerce Gallery and include 3 samples of your work. Art must be large scale. Ideally the pieces submitted to the show will be 48″ or larger. Minimum 36″ wide. Shows will consist of 5 pieces by the exhibiting artist.